Kelowna, in fact, comes from the Okanagan First Nation language and means “grizzly bear”—an animal renowned for its ferocious appetite for spring. 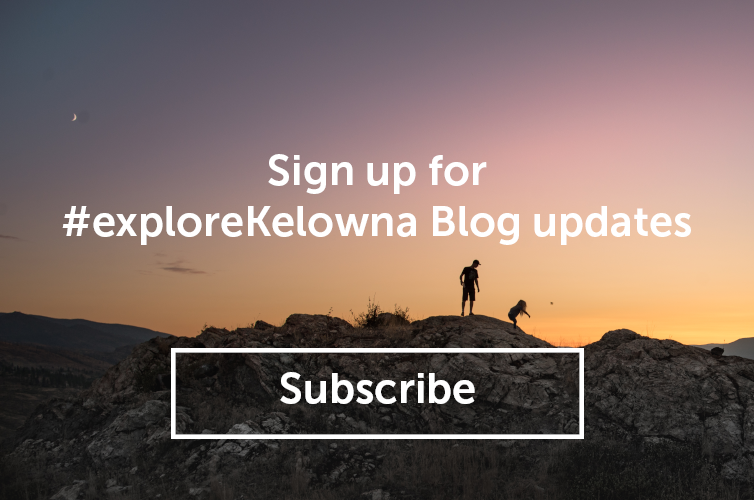 Originally known as L’Anse au Sable (or Sandy Cove), Kelowna has developed into a modern, casually sophisticated lakeside city that can hold its own when it comes to business, recreation, culture and quality of life. Get outdoors and you’ll find the people here are active, down to earth and eager to share. 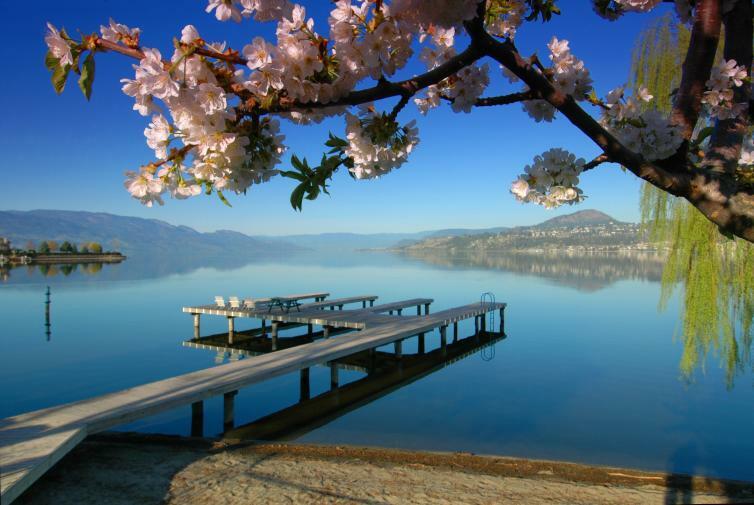 Here are seven reasons why Kelowna is especially awesome in spring. There’s a simple joy in beginning the day perched outside a street-side cafe with a hot beverage, a pastry and the local newspaper to enjoy. Explore Bernard Avenue and settle in with the refreshing morning breeze as you watch the world go by or take it to go and head down to a lakefront bench. 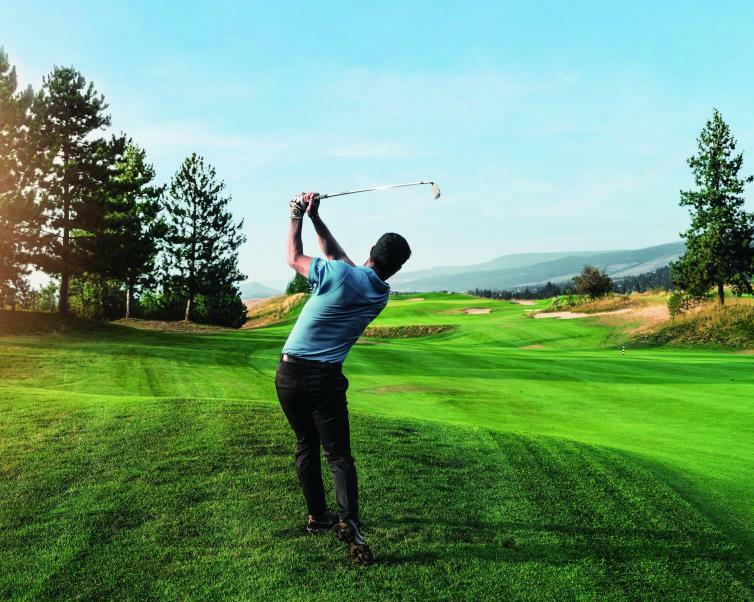 Kelowna is home to 18 golf courses and more than 100,000 yards of ball-striking heaven. That makes for a wide-open range of a multi-course excursion to work out the kinks in your swing. Okanagan wineries—over 40 in and around Kelowna—are open and eager to provide a tasting of their crafted delights. Select the wine tour of your choice and then set out, map in hand, to wander from stop to stop, enjoying not only the best in Okanagan reds and whites, but also the transfixing beauty of the Okanagan Valley’s mountains, vineyards, and water. Remember to save room in your bags for your favourite bottle. A favourite treat for Kelowna residents is a stroll along the lakefront boardwalk. Take along a mid-day lunch for a picnic at Tugboat Bay and Waterfront Park. Or enjoy the sights, sounds and smells of an evening walk as you relive your day’s adventure and ponder the next. 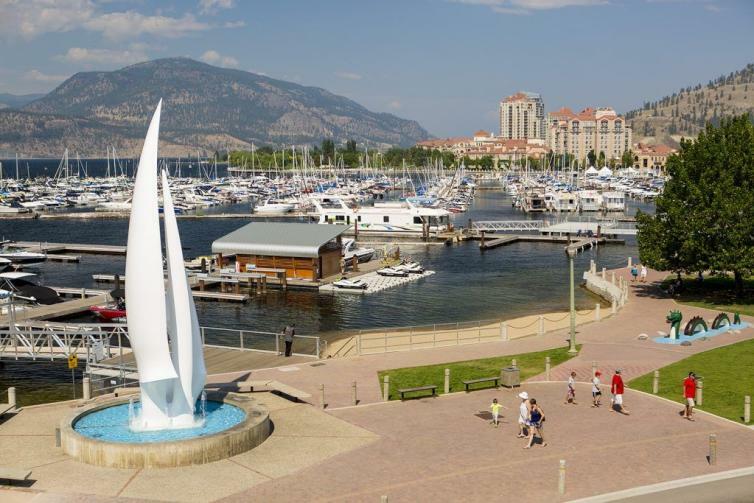 Popular boardwalk stops include the Rhapsody and Spirit of Sail sculptures, Rotary Marsh and Bear, a tribute to Kelowna’s settlement on Okanagan Lake.